Uploader comment: Sunday Nov.15th 2015.... I always look up.. I live near an airport, I see airplanes all the time... 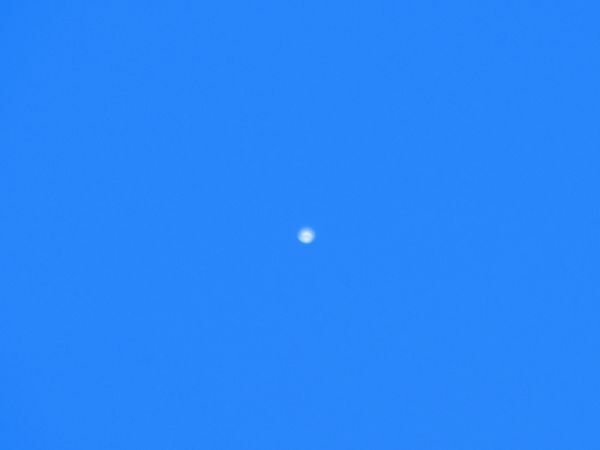 I also see hot air balloons,geese,hawks,satellites at night,drones the neighbors fly...personal helicopters and small plains ect.... today however, looked up and saw a bright object in the afternoon sky. it was 11:45am. I did see airplanes in the area and at first thought nothing of this. went inside the house, came back out and this object did not move.. so I opened my truck, opened my camera case,took out my camera,turned it on and saw this object still did not move. I took this picture, then went to the yard and let the dog out,looked back up and still saw this objet in the same place! 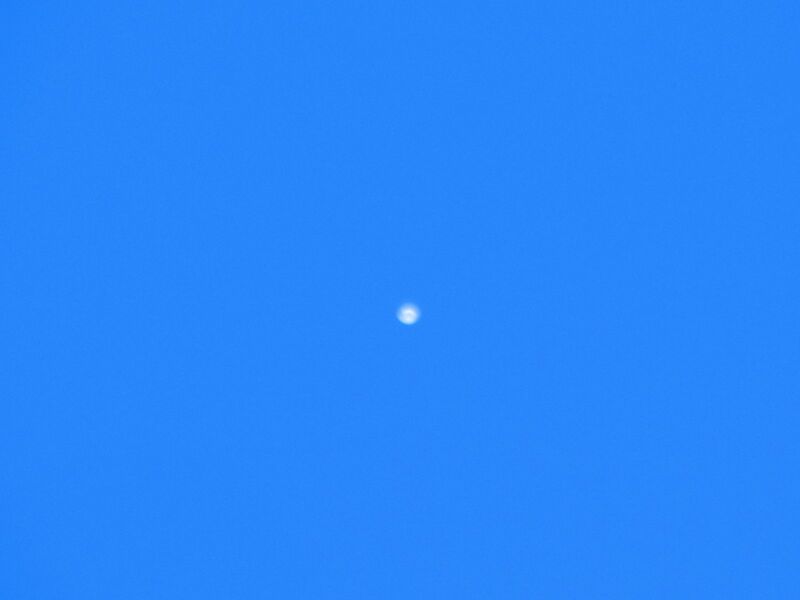 so I zoomed in and took another picture, as seen in next picture... took a total of 4 pictures of this object high in the sky.. it looked to me as you see in the picture. So I watched this for a few more moments and after 5 or 6 minutes this object was still in same spot not moving. I glanced over to see where my dog was...looked back up and this object was gone...... what are your thoughts?